Every year at our elementary school we have a big Octoberfest festival and parents are asked to donate baked goods or treats for the bake sale. 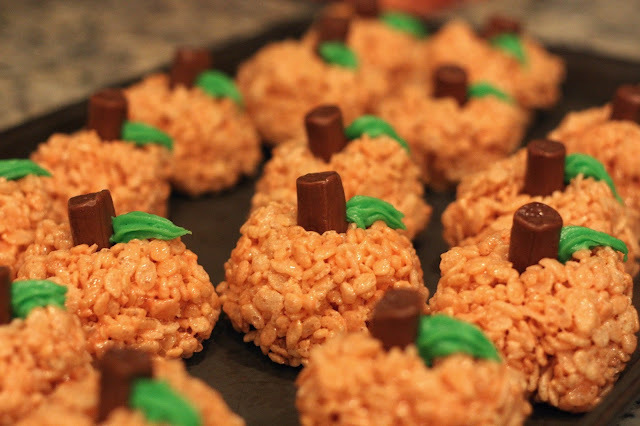 For the past few years I've made my go-to pumpkin rice crispy treats and they are always a hit. You can find the directions HERE. 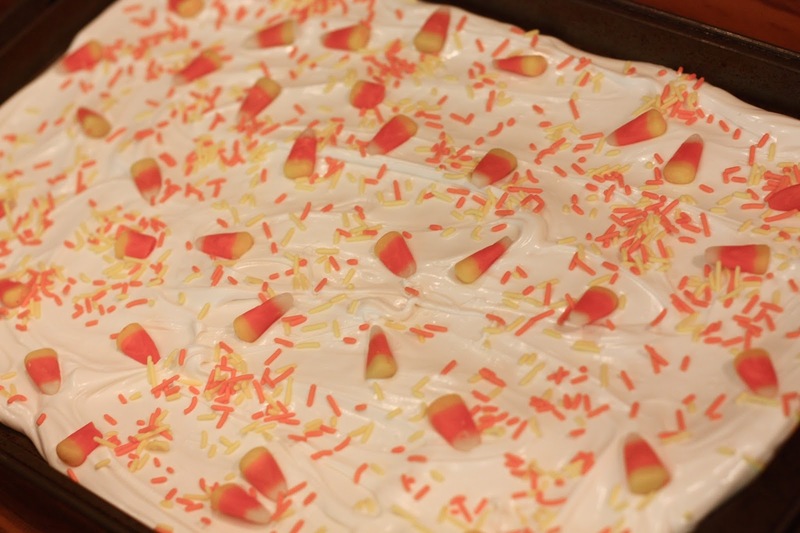 This year I decided to switch it up a bit and make Candy Corn Bark instead...which is basically my twist on the classic favorite, Peppermint Bark. 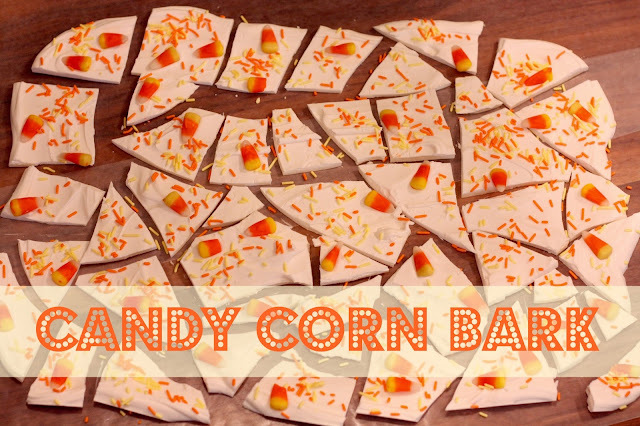 My kids love candy corn. Like L-O-V-E it with a capital L. I created this yummy treat involving candy melts, candy corn, and sprinkles...3 of their very favorite things! 1. 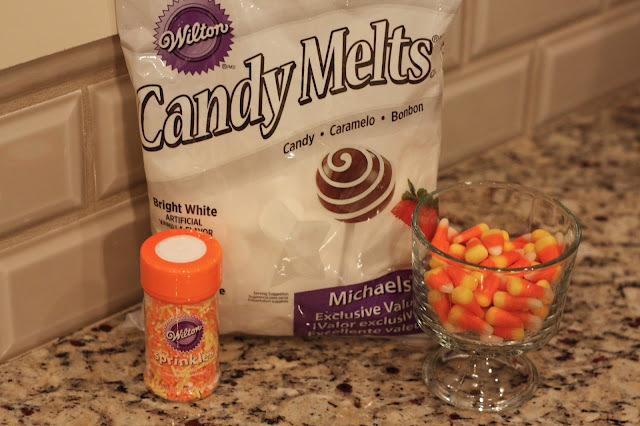 In a microwave safe bowl, melt the candy melts following the directions on the package. 2. 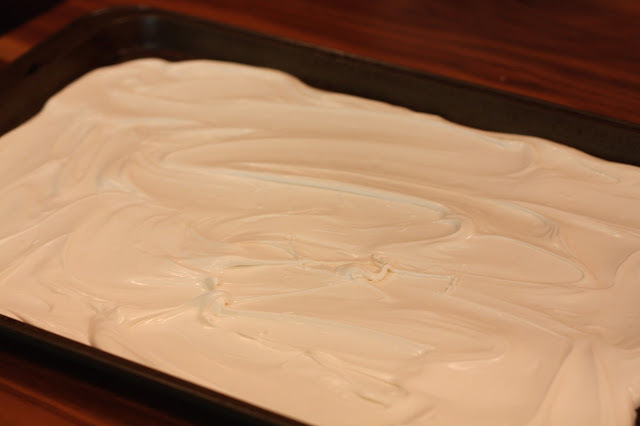 After it is melted completely, pour onto cookie sheet. 3. Drop in candy corn, sprinkles and any other candy or topping you would like to add. 4. 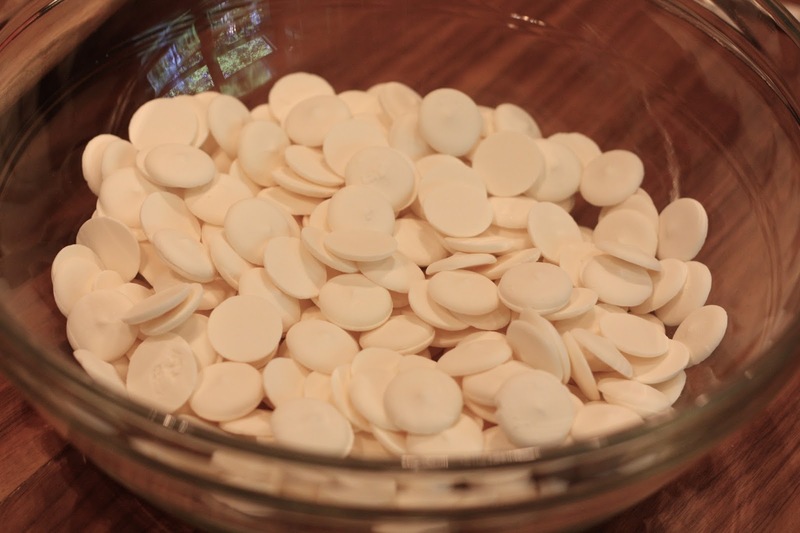 Refrigerate to cool and harden the melted candy completely (about 10-15 minutes). 5. When completely cooled, remove from cookie sheet and break into pieces to serve. 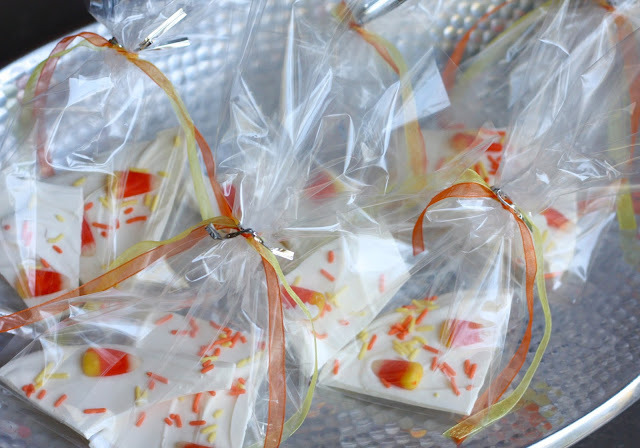 Because these were for a bake sale I packaged them up in clear bags and tied with cute ribbon, but you could easily keep these in an airtight container or display them on a serving tray or in candy dish for having at home or take to a party. It's a quick and simple treat that everyone is sure to enjoy! So cute! 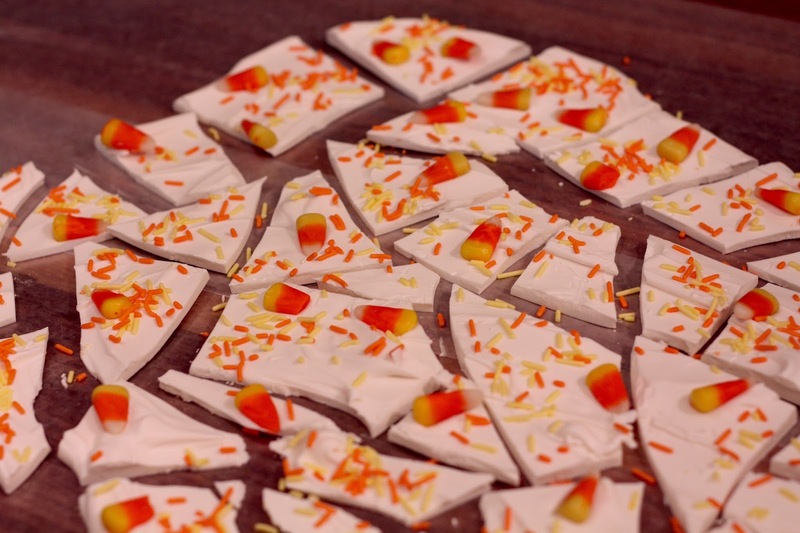 I just love themed snacks! Heck, I love themed anything!